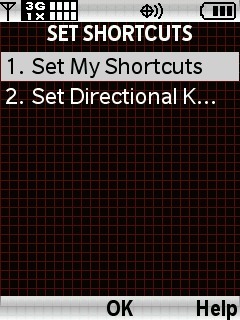 Select Set Shortcuts then press the center of the 5-way navigation pad to choose OK. 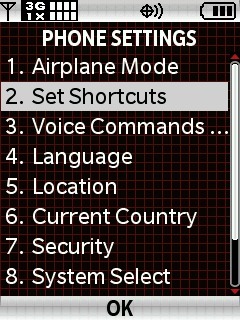 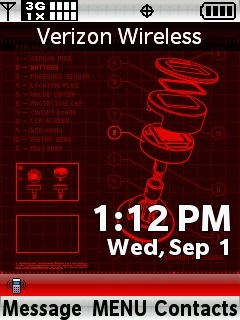 Select Set My Shortcuts then press the center of the 5-way navigation pad to choose OK. 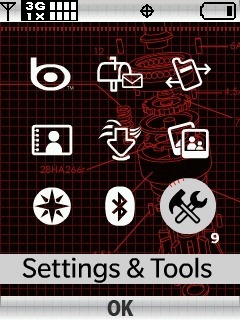 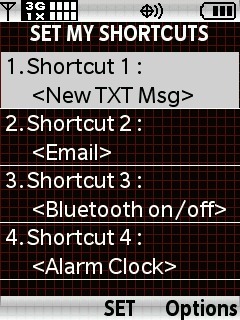 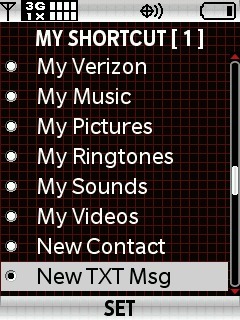 Select a Shortcut then press the center of the 5-way navigation pad to choose SET. 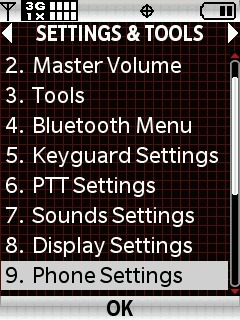 Select the setting then press the center of the 5-way navigation pad to choose SET.